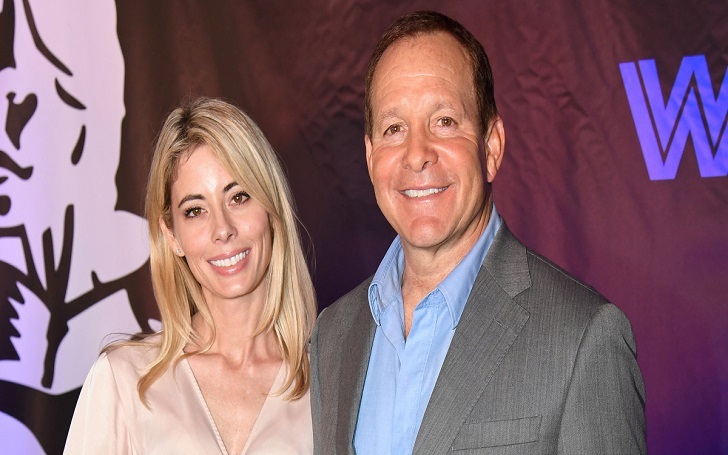 Steve Guttenberg and Emily Smith are officially husband and wife! The Three Men and a Baby star became married to the CBS news anchor in an intimate wedding ceremony Malibu, California, on Saturday, January 19. The couple was set up on a blind date by WCBS-TV correspondent Scott Rapoport in 2014 and they have been enjoying a romantic relationship ever since. Alongside a picture of the bride wearing her wedding dress that featured a lace overlay and unique cutouts, he wrote, "Here Comes The Bride #SweetStunningEm". He also posted a photo of the television personality posing by the ocean, captioning it, "#PerfectionEm." As we previously reported, Emily announced her engagement to Steve on Christmas Day in 2016. Alongside a shot of the amazing couple, she wrote at the time, "Yes, yes, yes". Steve and Emily's wedding news comes on the same day Ace of Cakes actor Duff Goldman married his loving girlfriend Johnna Colbry.